Do we have to wear Sky Zone SkySocks while we jump? Yes. Anyone that is going to be jumping on the trampolines or walking around on the trampoline pads must be wearing Sky Socks. Can I wear socks from another trampoline park? No. 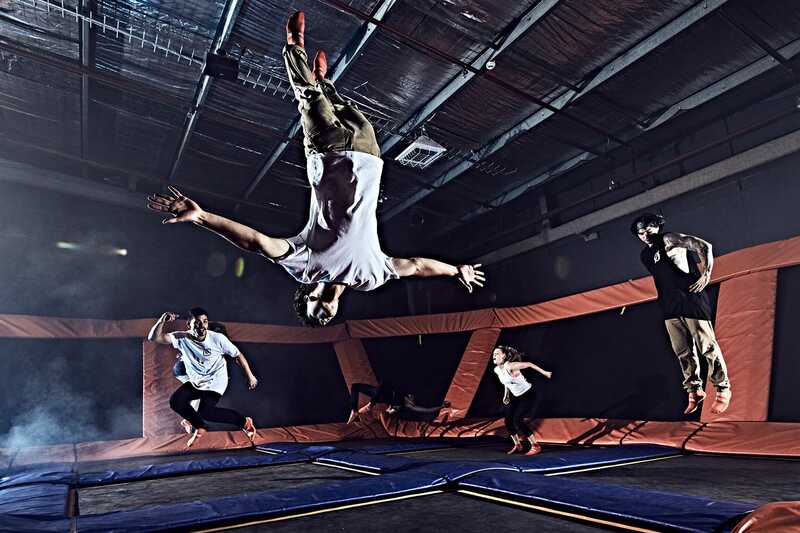 SkySocks were created specifically for the Sky Zone trampolines. Our motto is: "If you can walk, then you can jump." What is the age limit for Toddler Time? The age range for Toddler Time is 1-5 years old. Can we bring food into Sky Zone? Outside food and drinks are prohibited from entering Sky Zone. Do I have to pay for myself, even if I'm not jumping? No, you only have to pay if you are planning on entering the jumping areas. Can I bring cake and have a party in the lobby without booking a Birthday Package? No, the only way you are allowed to bring cake into Sky Zone is by booking a birthday party. Do I have to buy tickets before coming to the park? No, you can purchase tickets after you enter the park. You are able to purchase tickets online through our website and that can save you time during check in.